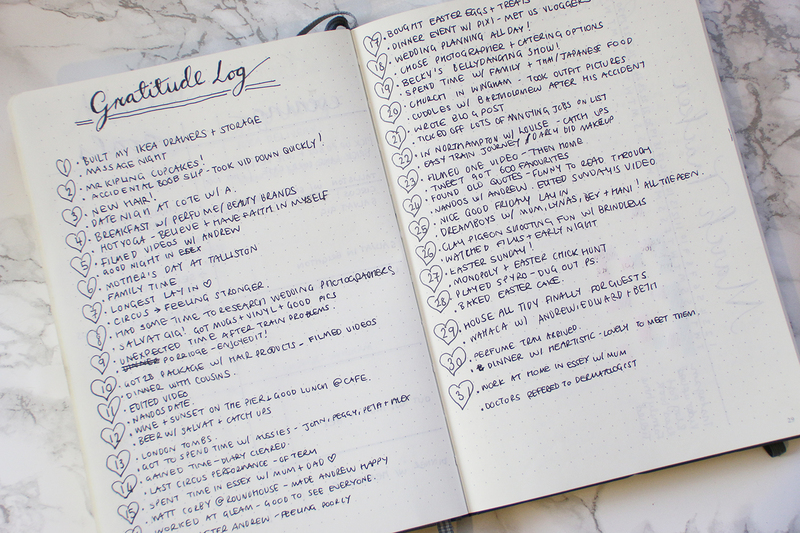 I started my first bullet journal at the start of 2016 and after a whole year of using it to plan and organise my life, I thought I’d show you inside. I’ll be showing you some of my favourite spreads in the journal, what supplies I use and also my layout progression through the course of the year! The first page in my journal is the 2016 year calendar overview. I loved how Boho Berry (one of my many favourite bullet journal YouTube accounts) laid hers out so this was an imitation (albeit a shoddy attempt as I hadn’t learnt calligraphy yet)! 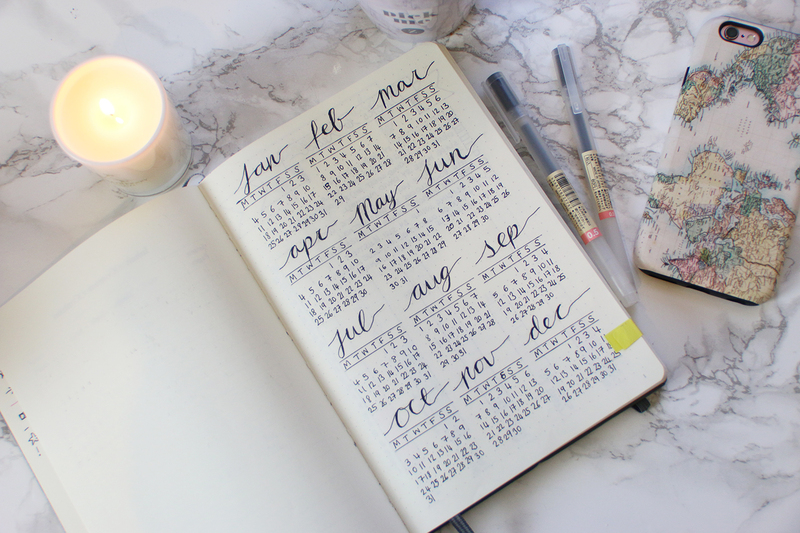 This is great to flip back to during the year whilst planning months or weeks and is also an aesthetically pleasing start to the diary! This is one spread that I kept the same each month (also inspired by Boho Berry). It allows me to roughly plan my month and note in any appointments/events. The days are listed down the left hand side, followed by an ‘all day’ ‘morning’ and ‘evening’ column. I also added a column for any particular goals I wanted to complete that month, such as reach a certain amount of subscribers or pay a vendor etc. You could change this to content ideas or work targets, anything you like! I’ve also seen people use highlighters here to colour co-ordinate their diary, such as purple for social life, blue for work etc but I prefer monochrome. I have experimented a lot with how to lay out my weekly planners and lists over the past year and I’ve finally settled on my two favourites. 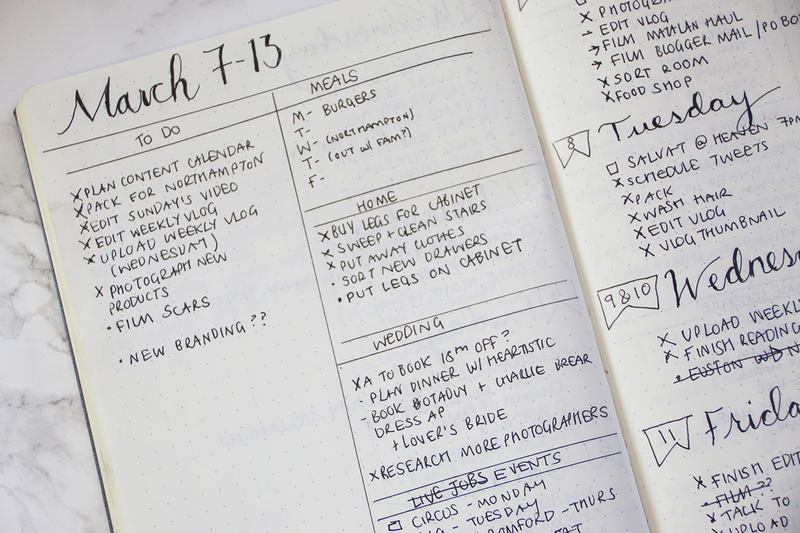 The first is a weekly page overview (the March example) where I list out everything for the week on one page. The first column is my general ‘to-do’ list and the second is divided into categories – meals for the week, events planned, home/wedding to-do lists etc. These categories change each week but it allows me to see at a glance the things that need to be done. Then for each day (October example above) I will write the date and then simply list everything I need to do that day and I’ll cross the tasks off using the bullet journalling system once they’ve been completed. Sorry if this doesn’t make much sense, if you’d prefer a video of me explaining this then let me know. You can obviously add ANYTHING to your journal so don’t feel restricted by keeping it neat and tidy. 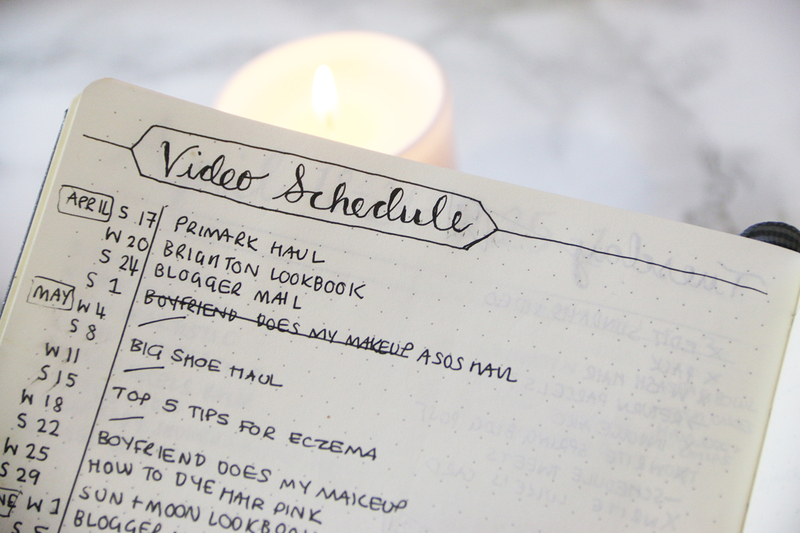 One of my favourite pages includes my video schedule (helps keeping organised very fun and it’s also nice to look back on). I also have a page for finance and my savings to help keep me motivated, a page for books I’ve read, films I want to watch, even a page on packages I’m waiting on arriving (the date I ordered them, what shop from and when they arrived). Every month, along with my calendar and weekly planners, I have added a gratitude log. I absolutely love this spread as it allows me to look back on my day each evening and jot two things that made me happy or that I was thankful for that day. These pages are so lovely to look back on and also helped to give me a more positive outlook on each day. Even if I was stressed and at home working all day, I’d be forced to find things I was thankful for and this helps improve my overall mood. I use a grey hardback medium dotted journal (this one here) and it’s perfect. It’s cheaper than the ‘official’ Leuchtturm bullet journal just without the coding (which is all online anyway). These are a must have for planning out particular pages, such as monthly & yearly overviews. I really hope you’ve enjoyed this post and found it helpful. I have to say, this way of planning and listing my days has really helped me to manage my time much better and has allowed me to become more organised with all aspects of my life. I’ve also focused on giving myself a set number of achievable tasks each day rather than everything I have to do at once, which has really helped with productivity and motivation. I really recommend this way of planning if you find yourself stuck in a rut and I can’t wait to see yours! If you would love a more in-depth look at my journal, please leave a comment and I can film a proper video for my YouTube channel. 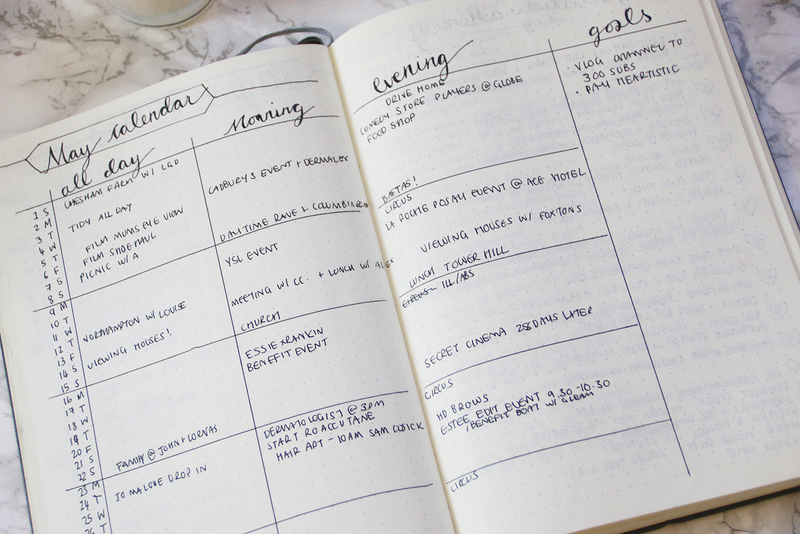 This is such a great way of staying organised (and it looks so cute too)! wow it looks so damn cute. 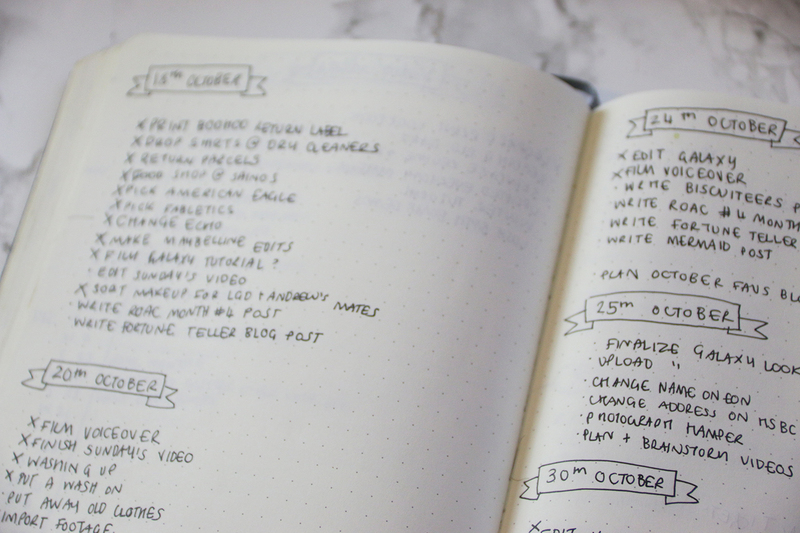 See, I know that for a lot of people this is a way of getting super organized, but things just always get really messy and chaotic for me when I plan 'in writing'. I prefer digital planning. This looks like such a good idea. I think I might have to start one! I find a gratitude journal every month really helps keep me positive! such a nice journal !! I started bullet journalling, and then bought a 2017 planner, so that has helped me keep on TOP of things! I love my planner, and i do my bullet journalling in there, and list books to read, things to do, etc and tick them off as I go! Love doing it! I started one this year! I am happy to plan and decorate my bullet journal though i made mistakes. But im loving it! This is what I NEEED to do!!!! I am a huge planner, and love setting goals, and writing everything down. I am moving soon so want to produce more goals eventually, so when I set up office in my new room I can write soooo much more!!!!!! !